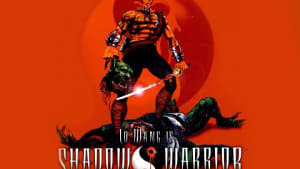 The first Shadow Warrior, released back in 1997, was a title of controversy due to its stereotypical portrayal of its protagonist. Nevertheless, it was a solid game both from a gameplay and level design standpoint. 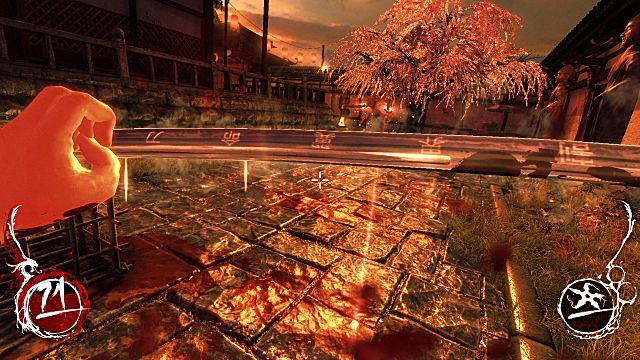 Now with Shadow Warrior 2 just on the horizon, I see no better time to revisit the 2013 reboot, Shadow Warrior. Let’s take a look, shall we? 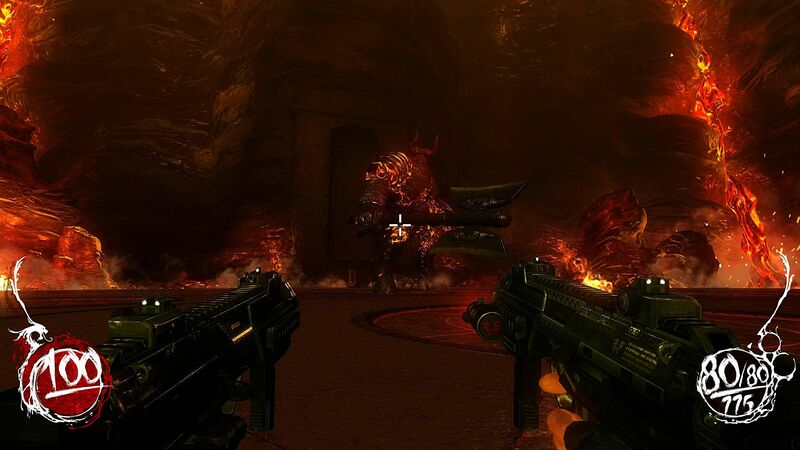 Shadow Warrior is a first-person shooter developed by polish developer Flying Wild Hog and published by Devolver Digital. It released on PC September 26, 2013. It later released on PS4 and Xbox One October 21, 2014 in North America and October 24 in Europe. It then finally released on Mac and Linux March 31, 2015. Shadow Warrior is a fantastic reboot of the original game. It has a decent story, excellent redesign of the protagonist Lo Wang, and well-designed gameplay. It does unfortunately also have a few issues with level design, and the some of the weapons. You take on the role of egotistical assassin Lo Wang. He works for the powerful Japanese industrial magnate Orochi Zilla. Wang is told by Zilla to retrieve a sword called the Nobitsura Kage from a sword collector. He is to offer the collector two million dollars -- and if he refuses, take it by force. Upon arriving, Wang offers the two million dollars only to be told it isn’t for sale. With no choice, Wang fights off the collector’s security. 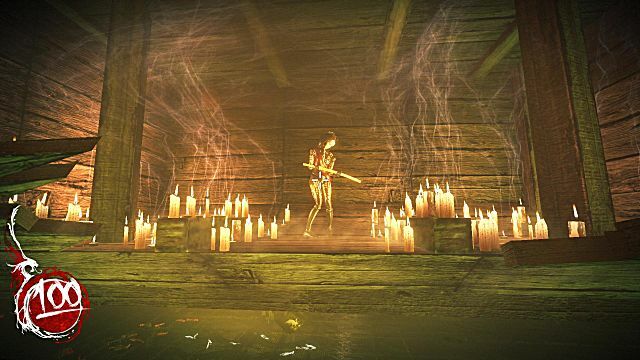 Upon reaching the collector, he is knocked unconscious by a demonic entity. Wang wakes up to find himself imprisoned and the guards dead. After escaping his cell, Wang soon comes face-to-face with demons while attempting to reach his car. Along the way he falls through the roof of a building, becoming fatally wounded. The demon from earlier approaches Wang and binds himself to him. Due to the binding, Wang has the ability to amplify his Ki, granting him special abilities such as healing. With his new found powers and “friend”, Wang heads out to find the Nobitsura Kage. The one question on his mind is why does everyone want it so badly? 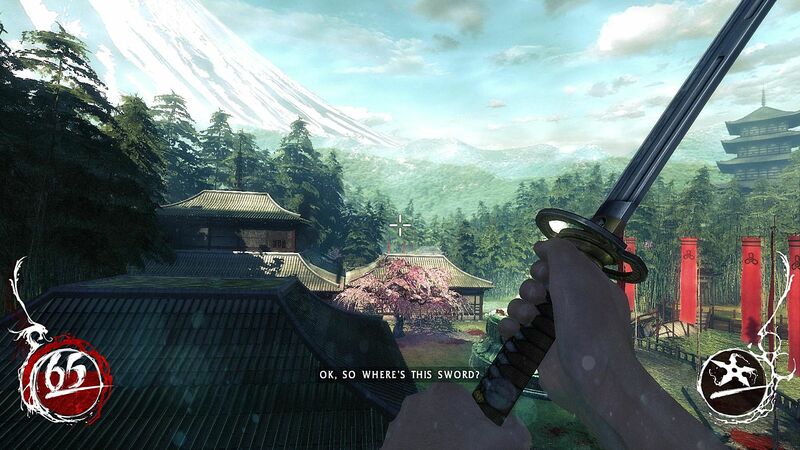 The plot to Shadow Warrior is surprisingly good and deep. 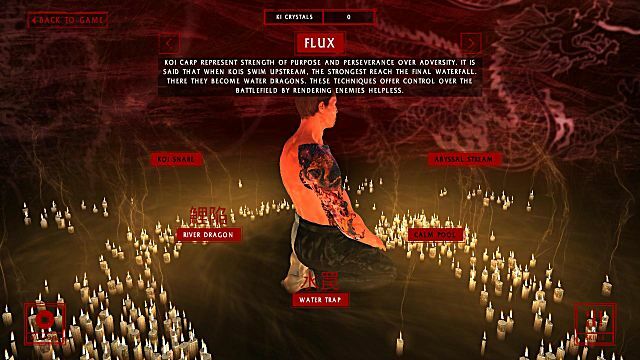 It tells the player about the history of the demons, the Nobitsura Kage, and gives some depth to both Lo Wang and Zilla. As for Wang’s demonic friend Hoji, he is a surprisingly likeable sidekick to have tag along. The two start off being rather sarcastic and insulting towards each other but begin to form a friendship as the plot progresses. 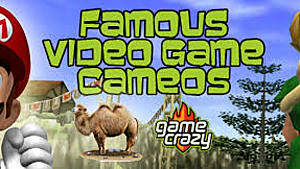 The two are a great double act that brings some of the game’s most comical moments. Both the plot and the characters are all well-written and interesting. If there was to be any fault with the plot, it is that the fate of some characters is left unknown. At one point, specific characters swear revenge on Wang but never make a reappearance. The ending is also a bit lackluster and feels very sudden with little explained. I understand that this is indeed intended due to the upcoming sequel, but it isn’t good writing from a plot standpoint. Despite these minor issues, the plot is overall enjoyable. 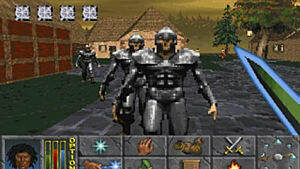 One of the games main features is the character development. 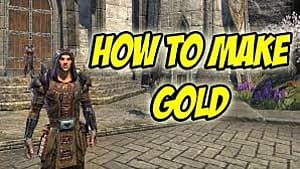 As you progress through the game, you will gain Karma points, Ki Crystals, and money -- all of which can be used to upgrade your character and weapons. You gain Karma points from combat. The more varied and devastating fighting techniques you use, the more karma you receive. 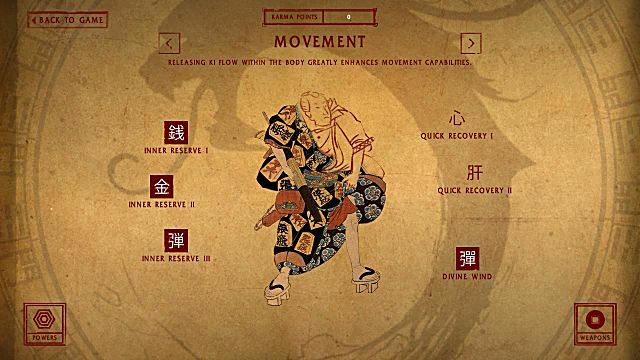 Karma points allow you to learn new skills that include Sword Mastery, Restoration, Movement, Knowledge, and Luck. 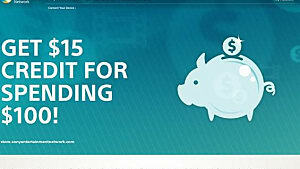 Each category has a number of different skills to learn each costing one Karma point each. Ki Crystals are found throughout the levels and grant you new powers. These powers come as both offensive and defensive abilities. They each represent an animal -- such as a Tiger, Peacock, Dragon and Koi Fish. They grant abilities like greater healing, knocking enemies over, or even holding them in mid-air to attack freely. Money is used to upgrade your firearms. There are six guns in total, each with three upgrades. Each of the upgrades cost varying amounts of money. Money can be found almost anywhere, but cabinets and chests almost always hold it. As to how useful each of the upgrades is, it depends on your style of play and priorities. For those who fight more with swords than guns, the first priority would be Sword Mastery and Movement. Those preferring guns, Luck and Knowledge would be of greater use than Sword Mastery and Movement. The same applies to the powers gained from Ki Crystals. Different powers suit different combat styles. All the abilities and upgrades are well-balanced and are fun to use. 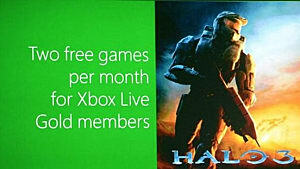 Most of all they are not complex and are easy to activate, so they don’t slow down the fast-paced nature of the game. If I was to criticize anything it would be the weapon upgrades. The problem is not with the upgrades themselves, but rather the fact of when the weapons become available. By the time, you obtain the later weapons, you will have the older weapons upgraded. By the end of the game, you most likely will not have the money to upgrade the later weapons, resulting in them being unused. Aside from that, everything about the character's upgrades and development is well designed. There are two different ways of combating demons in Shadow Warrior. One is through fighting with a sword, and the other using guns. Fighting using the sword is generally well-designed and a lot of fun. You have a number of different abilities to use with the sword assuming you have unlocked them. As you progress through the game, you will also upgrade the sword, giving it new powers and abilities. There are, however, two problems that I find with the melee fighting. The first is that the hit detection is not always accurate. There were times where hits didn’t register with the Wings of Crane ability when it clearly should have. The second issue is with the sword's final upgrade. You obtain it at the end of the game and only get to use it for about ten minutes. While it is overpowered, I would have appreciated having a bit more time to enjoy being an overpowered legendary sword-wielding badass. As for the guns, they are all enjoyable to use and most are useful for different scenarios. The problem with the guns is that they are a bit too weak. In their standard forms without upgrades, they are practically useless -- especially in the higher difficulties. Throughout the game, you will be fighting with the sword more than firearms because of this. Only once you have upgraded them do they become useful. At the end of each wave of enemies, you are rated out of five shurikens. It is never properly explained how the system works. From experimentation, I can only assume you are rated on combat effectiveness. The more abilities you use and the quicker you wipe out the wave, the higher your rating. It is a nice touch to combat -- if only I knew for sure how it worked. 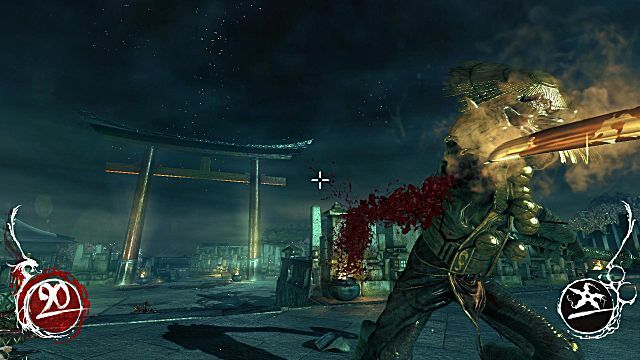 Those minor issues aside, the combat in Shadow Warrior is easily its best aspect. It’s fast-paced, action-packed and chopping demons into pieces and blowing them up is always satisfying. 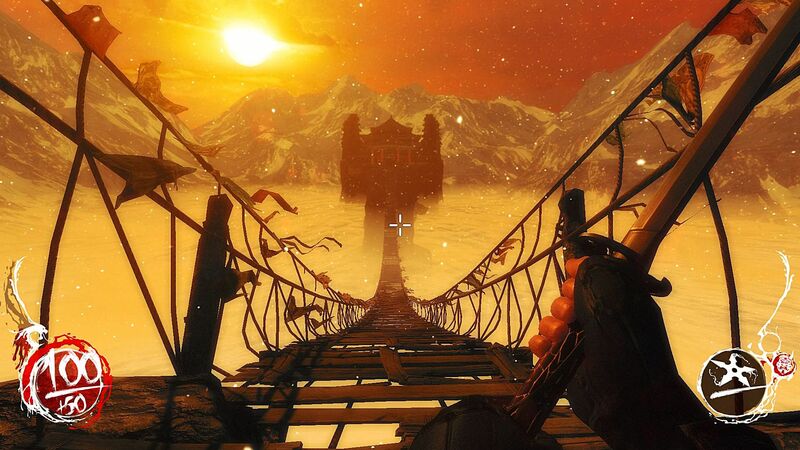 The level design of Shadow Warrior is mostly well-designed. The levels are straight forward, easy to navigate, and the environments change enough to not become boring. The architecture is beautiful and really pleasant to look at when you are not slaughtering demons. 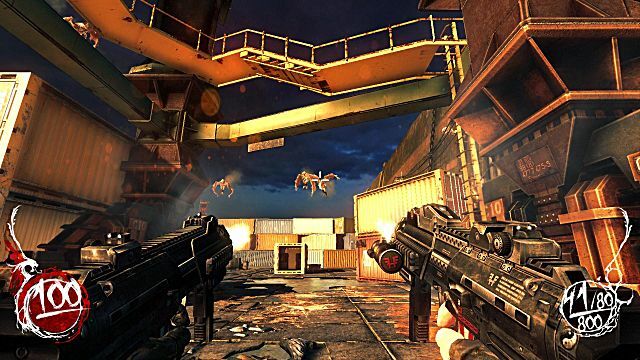 It is really detailed and overall most of the levels environments are refreshing from any other game in the genre. Some levels do have issues, however. Firstly, some levels are confusing at times. Three or four times throughout the game I found myself confused as to where I needed to go. This is primarily due to areas looking the same. The game is divided into three locations. The second revolves around a shipyard. I found it to be quite bland. The first location was quite colourful, interesting and refreshing in design. But the shipyard is uninspired. It is a grey and dull industrial design that most other games in the genre have plenty of. The third issue is a bit nit-picky, but glaring nonetheless. Throughout the entire game, the lootable containers are all the exact same no matter the environment you are in. A bit of variation would be nice to better suit each of the areas. Aside from those issues, the level design of the game is good, fluent, beautiful and a lot of fun. Shadow Warrior isn’t without its minor issues, but the positives vastly outweigh the negatives. The plot is interesting, entertaining, and mostly well-written. The character development and upgrades are all useful and well-designed. 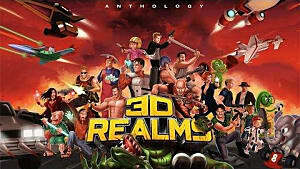 The gameplay is fast-paced, action packed and great fun -- as is expected from the title. The soundtrack is amazing, graphics excellent, enemies and bosses are creative. There are just a few minor issues. Occasionally an enemy’s hitbox does not register. Level design can be confusing at times and the shipyard area is a bit bland. Sword fighting is far more powerful than firearms, particularly the first half of the game. As a whole, it is a fantastic game that is incredibly fun. 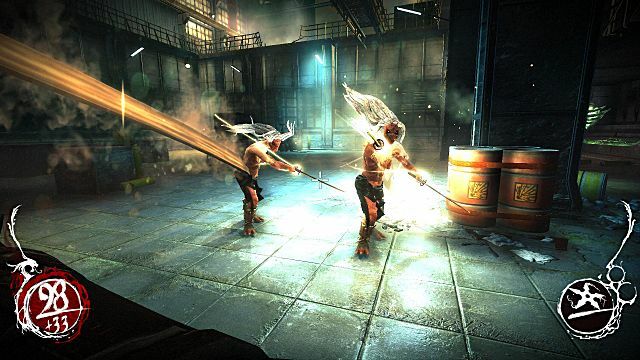 If you enjoy fast-paced action titles such as DOOM, Quake and Painkiller, you will love Shadow Warrior. It’s violent, gory, humorous, and over the top. It really is a game that has kept the spirit of 90s FPS games. What more could you ask for? 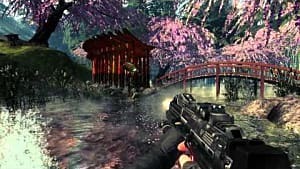 Shadow Warrior is available to buy on Steam for €34.99 and GOG.com for €29.99. 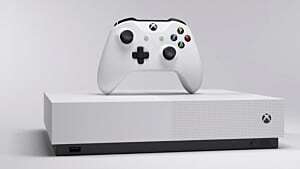 It is also available on Xbox One and PS4 in their respective stores.